Hi friends! It’s always hard to get back into the school groove come January. The holidays are so fun, that it’s kind of a let down to have to get going again. 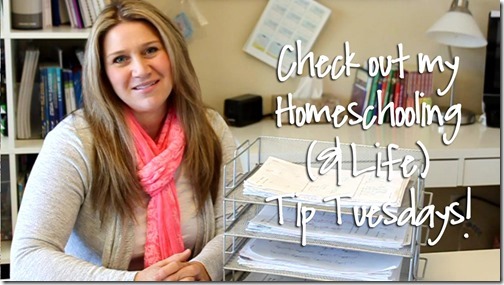 So for today’s Tip Tuesday I have some fun tips to share with you that help us get motivated and back in our homeschool groove! I feel like this happens every year, and so I’m guessing some of you might be experiencing the January Blues as well. I think there’s even a day in January that’s been noted as the most depressing day in the entire year! Whoa! That doesn’t sound fun does it? If you’ve been feeling down the dumps lately and just can’t get back into the groove after the holiday season I want to encourage you that you’re not alone! We’ve been homeschooling for about 9 years now, and honestly the new year is always kind of a let down after the fun holiday break. Everyone is tired, and no one really wants to do school, including me! Want more helpful homeschool tips? 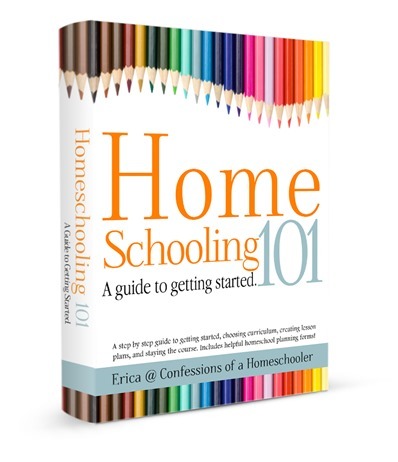 Make sure to check out my Homeschooling 101 book available now! Erica – HEY! I’d love if you could point me in the right direction. We are having a hard time motivating our BOYS to get school work done. We’ve done everything we can to make it fun and exciting… but work is work and some things just need done. They just sit and sit and sit. They would rather sit all day staring at the same piece of paper then getting it done to go play. It’s very frustrating. The older two will go to my mother’s and she’ll sit with them all day and have them focus. Working from home and having 4 to spread my attention across I don’t have that luxury to sit there all day. Help! Not sure if it will help, but I did this post on how to stop procrastination that might give you a few ideas! I know exactly what you’re talking about. My boys will sit and stare, fiddle, talk about their pencil, look for a sharpener, look at each others work, complain that its taking “SO LONG” (well you know it would go quicker if you stopped talking for even a split second and looked at your page!) No advice, just empathy haha.